The cast and full creative team, along with details of the Spring 2019 tour, has been announced today for The Remains of the Day, our co-production with Out of Joint, in association with Oxford Playhouse. The cast will be led by Stephen Boxer (Regeneration, Royal & Derngate) and Niamh Cusack (The Winter’s Tale, Sam Wanamaker Playhouse). 2017 Nobel Prize winner Kazuo Ishiguro’s masterpiece has entranced generations as a novel and its story of memory, regret and undeclared love is now re-imagined for the stage for the first time by one of Britain’s most exciting young writers, Barney Norris (At First Sight, Oxford Playhouse; Visitors, Arcola Theatre – Critics’ Circle Award and Offwestend Award for Most Promising Playwright for Visitors, Arcola Theatre; Times best-selling novelist) in collaboration with Ishiguro himself. The Remains of the Day will be directed by Christopher Haydon (Twelve Angry Men, Birmingham Rep and West End; Fringe First and Offie-winning Grounded, Traverse Theatre Edinburgh, Studio Theatre Washington DC, national and international tour; On The Exhale, Traverse Theatre), who recently directed Royal & Derngate’s co-production of The Caretaker. The production will be designed by Lily Arnold (Rules for Living, Royal & Derngate; Yellow Face, National Theatre Shed). Lighting design is by Mark Howland (Soul, Royal & Derngate/Hackney Empire; Twelve Angry Men, Birmingham Rep and West End; several productions for English Touring Opera) and sound design is by Elena Peña (Misty, Bush Theatre; The Bear/The Proposal, Young Vic; The Caretaker, Royal & Derngate and Bristol Old Vic). 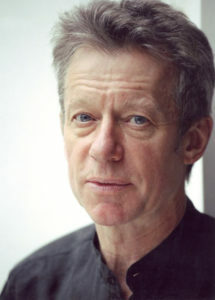 The cast will be led by Stephen Boxer as the butler Stevens. His credits include Stories, Macbeth and King Lear (National Theatre) and Regeneration (Royal & Denrgate and Touring Consortium Theatre Company). 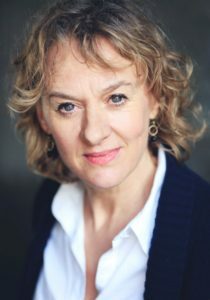 Kenton is played by Niamh Cusack whose stage credits include My Brilliant Friend at Rose Theatre Kingston and The Winter’s Tale at Sam Wanamaker Playhouse. The cast also includes Stephen Critchlow, Pip Donaghy, Edward Franklin, Miles Richardson, Sadie Shimmin and Patrick Toomey. The play will open here at Royal & Derngate, Northampton in February, as part of the theatre’s Made in Northampton season, with a National Press night on Wednesday 27 February, and will tour nationally from March 2019. The tour venues will include Oxford Playhouse, Theatre Royal Bury St Edmunds, Salisbury Playhouse, Theatre Royal York, Yvonne Arnaud Theatre, Nuffield Southampton Derby Theatre, and Bristol Old Vic. The Made in Northampton season is sponsored locally by Michael Jones Jewellers.